Big match of Lonzo Ball (19 points). Eleventh game without James. Now, travel to Oklahoma and Houston, and the Warriors in the Staples. 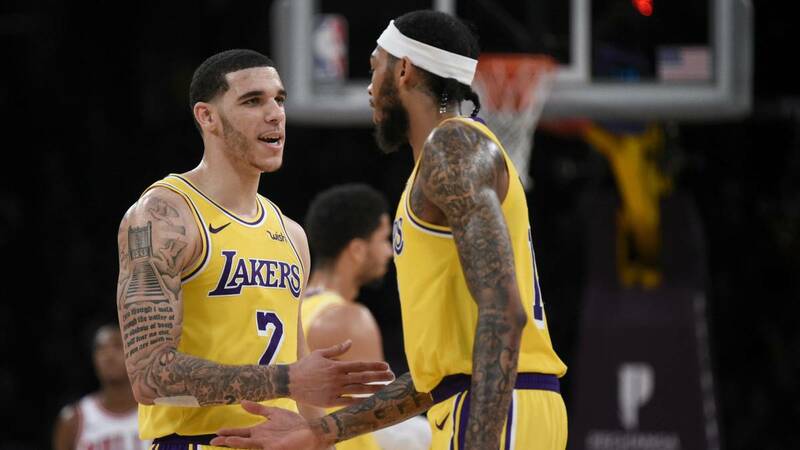 The Lakers took a break to beat the Chicago Bulls this morning (107-100) in a game in which Lonzo Ball wore (19 points, 8 rebounds and 6 assists) and in which they suffered more than the bill in the last 100 seconds It was the eleventh game without LeBron James, who is already in his longest absence ever : the forward has been out (groin) since last December 25 when the Angelenos beat the reigning NBA champion, Golden State Warriors. Since that day, the team has been capsizing and without much success: this is the fourth win without the forward, who could return ... or be several weeks more off the field. "Could be for the game against the Thunder but he will act with extreme caution and he is prepared to lose several more weeks if it is necessary to be 100% again, "says Dave McMenamin (ESPN). A very ugly scenario for the Lakers, who now have to really suffer with the arrival of their particular Tourmalet in the next three games: fly to Oklahoma and Houston, and receive the Warriors, new leaders of the Western Conference, in the Staples . A field that the purple and gold will be mined: it is confirmed that the four times MVP will not be against either Thunder or Rockets. Because the Angelenos need it, as it was against the Bulls. With Chandler and Caldwell-Pope starting by McGee and Hart, the Lakers suffered to score, much like Chicago. At halftime, 44-43 with a 4 of 29 combined between both teams from the triple and without any player with at least ten points. A drama that they tried to solve around the Ball and Markkanen locker room. The first made a great second half with 13 goals, while the Finn closed the match with 17 goals. Of course, the tragedy from the perimeter remained intact until the end: 17 of 57 (22.8%) .